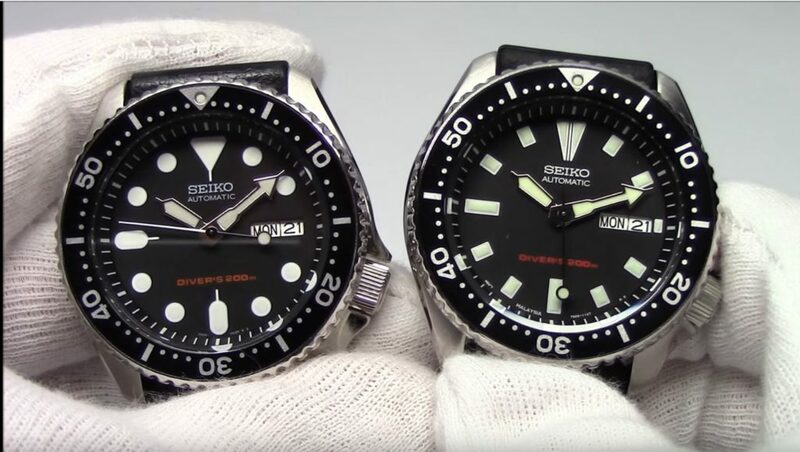 In this article I will review the Seiko SKX007 vs SKX173 Comparison. Though the Seiko SKX007 and Seiko SKX173 look very similar, they each have a few discernible features that set them apart. Unlike the SKX009 and SKX175, which are practically the same, These two watches are slightly different. Being able to tell them apart sets the practical collector apart from the Watch Savant. Check out my review of the Seiko SKX175 here. The SKX007 is the International version of Seiko’s famed Diver line. This watch is made for sale outside the North American Market. It carries the 7s26 movement found in various other Seiko watches. The SKX173 is the version made for the North America Market. 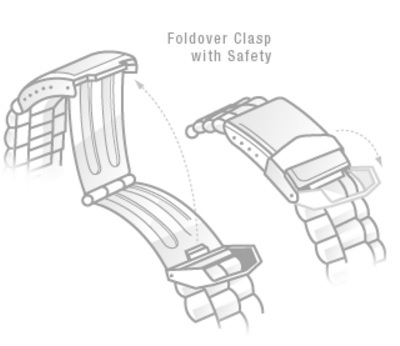 Though the Caseset and movement are the same in both watches, there are a few various differences that we will go over below. With the rise of globalization, we are able to enjoy whatever watch suits us best. They are both available on Amazon for a very low price. Seiko SKX007 vs SKX173 Comparison. Seiko XKS007 is the internation model made for all markets outside of north america. 7s26 movement. The first feature that stands out as in this comparison is the dial. The hour markers on the SKX007 are circular compared to the rectangular hour markers of the SKX173. This is more a matter of preference I think. Some people tend to prefer the older look of the rectangular hour markers, and I tend to agree with them. There is something about the look of those rectangular markers that really add a modern twist to a historical look. Review the 12 O’Clock hour indicator on the SKX007, it almost looks like a melting blob. The 12 o’Clock indicator on the SKX173 has a line down the middle showing how the bezel lines up perfectly with the bezel. The second hand on the SKX007 is setup in a bit of a backwards way. For whatever reason the design engineers are Seiko decided to place the Lume for the second hand, on the opposite end. 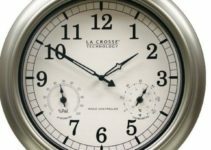 Reading the seconds in the dark because of this will always force you to account for this, otherwise you will be 30 seconds off. The SKX173 second hand is done correctly in that the Lume is placed on the correct end of the second hand. The lume on the SKX173 is has a slight green tint to it that is visible in the day time. 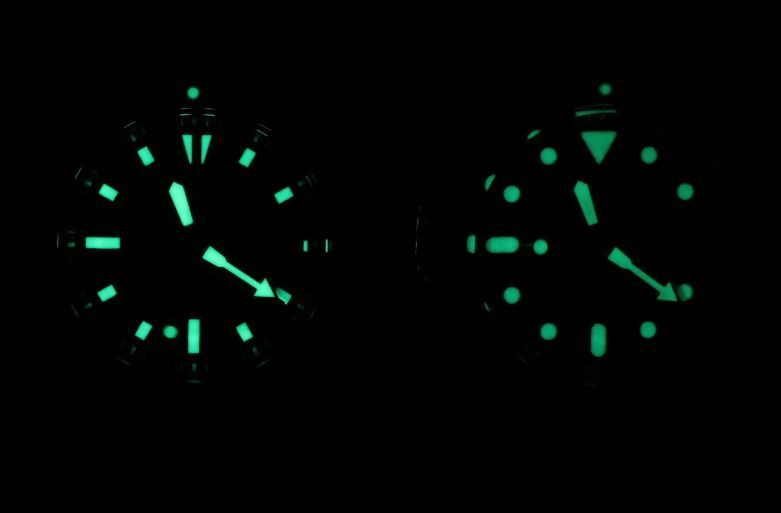 When the lights are off there is noticeable difference in the surface brightness of the Lume with the SKX173 being significantly brighter. The lume on both watches is nothing short of incredible and telling the time at night is super easy no matter which watch you decide to go with . It is all a matter of preference. I really much prefer the hour markers on the SKX173. They remind of me the old Seiko dive watches of yesteryear. The SKX173 does cost a little bit more, but thats what you get for a watch destined for the North American Market. If you are slightly more price sensitive, you can pick up the SKX007 in the $200 range.